By the end of the 17th century, the coastlines of Newfoundland and Labrador were generally known but imperfectly mapped. However, European knowledge of the interior, both of the island and of Labrador, was very limited. During the 18th century, the coastlines became known more accurately and in greater detail, and there were some initial probes inland. At the end of the Seven Years' War in 1763, Britain found itself in control of northeastern America, including what had been New France. A part of the process of taking control of these territories, the British government instituted a series of surveys. So far as Newfoundland was concerned, the authorities were concerned to delineate as accurately as possible the areas where the French could still fish - the French Treaty Shore between Cape Bonavista and Point Riche, and the waters around St. Pierre and Miquelon, which had been ceded to France in 1763 as a fishing base. 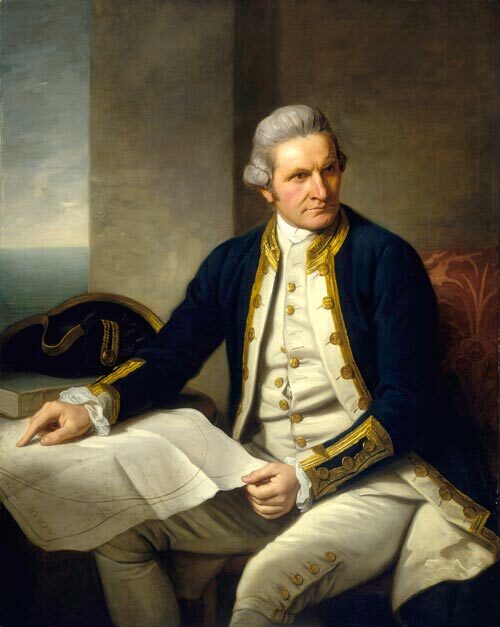 In 1763, therefore, James Cook RN (1728-1779) was appointed marine surveyor. He had been to Newfoundland before, having surveyed the Carbonear-Harbour Grace area of Conception Bay, St. John's harbour, Bay Bulls and Placentia. During the 1763 season, Cook first surveyed St. Pierre and Miquelon before the islands were handed over to France, and then worked along the top of the Great Northern Peninsula. The following year he surveyed the area between Pistolet Bay, on the northern tip of the island, and Point Ferrole. In 1765 he worked between Placentia Bay and Bay d'Espoir on the south coast, and the following year continued to Burgeo - where he observed an eclipse of the sun - and Cape Anguille on the southwest coast. In 1767 he finished his survey of the west coast, concentrating his efforts on St. George's Bay, Port au Port, Port au Choix, and the Bay of Islands. He also travelled 24 kilometres up the Humber River. 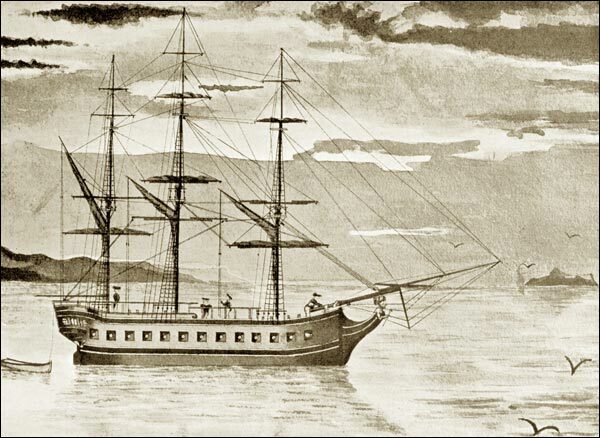 From a drawing in the possession of the Royal Geographical Society. Reproduced from a photo by Rischgitz. From James Cook, The Circumnavigator London, John Murray, 1907. Cook's Newfoundland charts were published between 1765 and 1768, and "marked a new standard in British hydrographic surveys" (Williams 1979). For their day, they were very accurate indeed and were not superseded by more detailed surveys for over a century. His work was continued at an equally high standard by his assistant Michael Lane between 1768 - when Cook was sent by the Admiralty to the Pacific - and 1775. Between them, Cook and Lane charted the Newfoundland coastline from Griquet around to Cape Bonavista, as well as the Labrador side of the Strait of Belle Isle. Cook had a considerable influence on Newfoundland place names. He sometimes formalized or anglicized existing names - thus Belleoram from Bande l'Arier, Bonne Bay from Baya Ederra, Sacred Bay from Baie de Sacre. His own name appears twice in the Bay of Islands (Cooks Cove and Cooks Brook), and at Cooks Harbour in Pistolet Bay. Cook also used the names of naval superiors (Graves, Keppell, Hawke, Saunders). At Unfortunate Cove he injured his hand. James Cook is best known for his three expeditions to the Pacific; but it was in North America during the Seven Years' War, and then in Newfoundland during the 1760s, that he learned his trade both as a cartographer and an explorer.